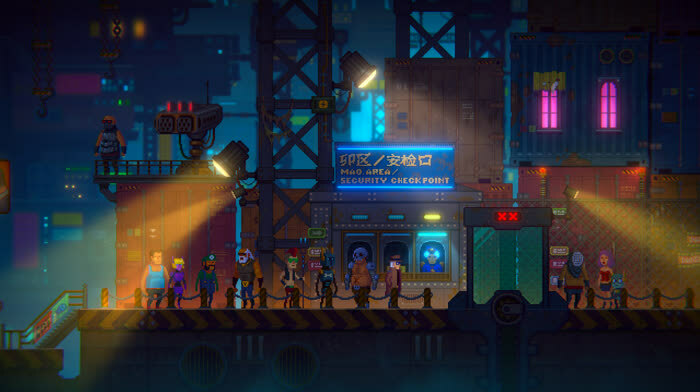 Bringing this vision to life hasn’t been the smoothest of journeys for developer Palm Pioneer, though, as the simple fact is there are more constraints and roadblocks when it comes to making games in China. Governmental controls and vetting procedures mean there can be stifling effects on the output of a studio, and the studio is no stranger to this impact. 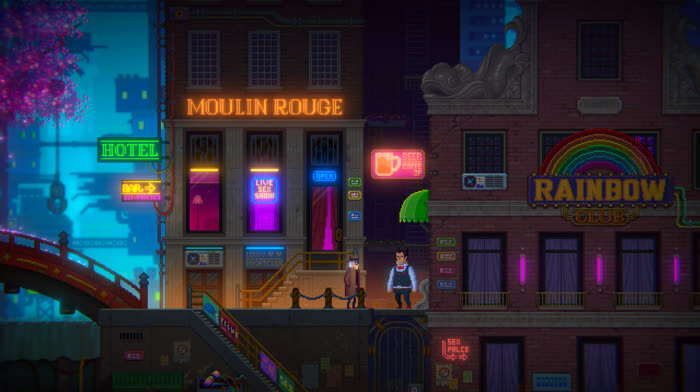 Admittedly, a neo-noir cyberpunk adventure game telling a mysterious story full of twists and turns might not sound like the most unique of experiences, but Neon Sea is still uplifted, both through its usage of pixel art and its superb use of lighting effects, which really bring the seedy, futuristic city to life. 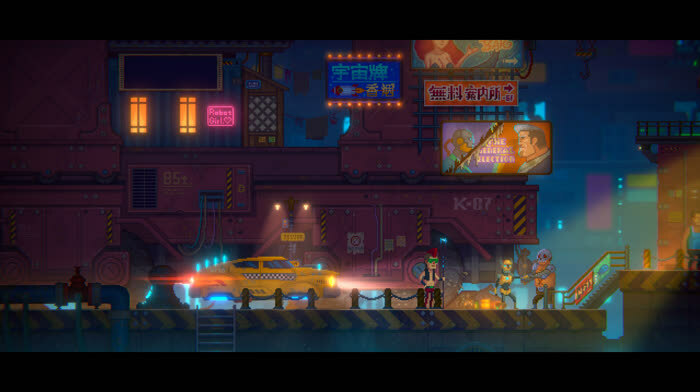 There’s a lot of effort and optimism going into Tales of the Neon Sea, as well as a quiet confidence the game can do well on the global stage. It’s a big change from the Chinese development scene of just a few years ago, as Palm Pioneer is well aware: “A few years ago, most of China’s gamers and development teams focused on mobile games, and a large number of so-called ‘pay to win’ games existed,” Chao tells us. “In the past few years, the situation has begun to change, and many players and development teams are starting to pay attention to and get involved with PC and console games. Focus is now being placed on the gameplay and fun of the game itself, and many excellent titles have already emerged. So I think this is a good environment for an independent studio like ours.